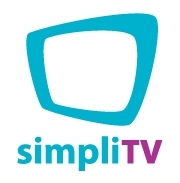 Austrian DTT platform simpliTV wants to introduce an internet service on October 5, 2015 enabling customers to surf the net, receive further TV channels as live-streams and use video-on-demand services. A multiscreen offering is also planned: From the end of 2015 at the latest, viewers will be able to watch the simpliTV channels on their smartphone, tablet, laptop and PC. simpliTV which launched on April 15, 2013 transmits around 40 Austrian and German TV channels – 10 of which are in HD quality – terrestrially via DVB-T2 throughout Austria. The platform is operated by technical services provider ORS which is in majority (60%) owned by Austrian public broadcaster ORF. 40% are held by Medicur-Holding, a subsidiary of Raiffeisen group.